Are the Achievements the same on Steam and mobile? Select the correct request type when submitting a ticket so Technical Support can help you efficiently, and learn why Bug Reports and Game Feedback/Questions are closed. 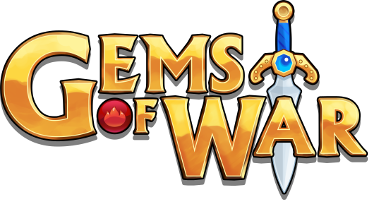 The type of request you submit will help give the Gems of War Technical Support a brief indication of the type of problem you are having, categorise the ticket and help you correctly based on your issue. Account Issues - Forgotten password, account recovery, lost account, account linking. Bug Report - A glitch or issue where the game is not acting as expected. To Report Bugs go to the forums here. Guild Management - Inactive guild leader, guild name-changes, problems promoting, kicking or using your guild. Missing Rewards - No rewards from a PVP battle, upgrading a Guild Wars sentinel and not receiving the bonus, opening a chest and not getting the loot. Player Report - Reports of hacking, cheating, or abusive language/harassment in Global Chat. Purchase Issue - Real money purchases in-game or purchases made with Gems or Glory from the 'Shop'. Technical Issue - Game crashes, freezing, or connection errors. Game Feedback & Questions - Questions about how the game works and suggestions on improvements. Technical Support cannot help with this, to provide feedback please go to the forums here.